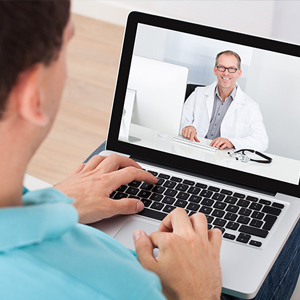 The UT Southwestern Telestroke Program, a component of UT Southwestern’s Robert D. Rogers Advanced Comprehensive Stroke Center, provides remote, urgent evaluation of adult patients suspected of having a stroke. 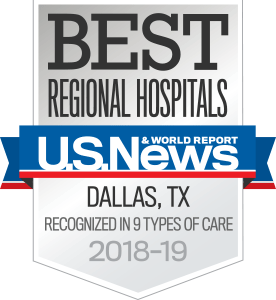 The Rogers Advanced Comprehensive Stroke Center was the first in North Texas to be recognized by The Joint Commission and the American Heart Association/American Stroke Association for providing the highest level of stroke care available. Access to a qualified neurologist. UT Southwestern’s telestroke consultant will provide consultation and triage for any patient suspected of having stroke-like symptoms whose onset is within 24 hours of the call. Collaborative determination of care. Our telestroke consultant and the hospital-based physician or advanced practice provider will determine the appropriate care for the patient. Protocols, transfer guidelines, and staff education. UT Southwestern offers partnering hospitals essential information for urgent stroke patient evaluation and care based on national evidence-based guidelines. Call 214-645-FAST (3278) to reach the telestroke consultant. If the patient is to be transferred to UT Southwestern, the telestroke consultant will assist with the coordination of the transfer and also arrange telephone consultation with other specialists to include neurosurgery, neurocritical care, and radiology, as needed. We offer timely follow-up to hospital staff about the outcome of the transferred patient.